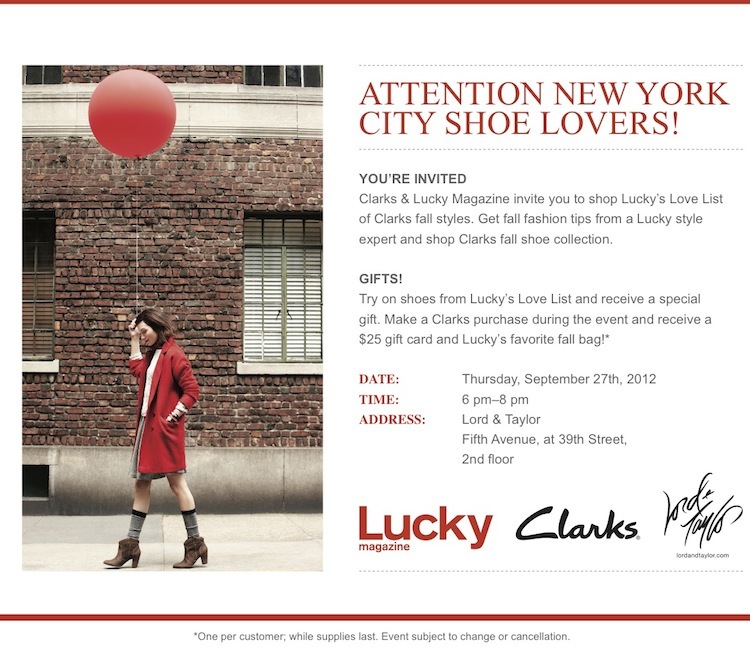 I am so excited to invite you all to a shopping event I am hosting here in NYC on Thursday, Septemeber 27th for Lucky Magazine and Clarks shoes! If you are local to the area or happen to be in town, I would be thrilled for you to join me at Lord & Taylor where we will be playing dress-up with Clarks new fall styles. Come for a good time and special gifts from Lucky. Hope to see you there!